Beppu is a famous onsen city located in the South of Japan. What is it like to live in Beppu? 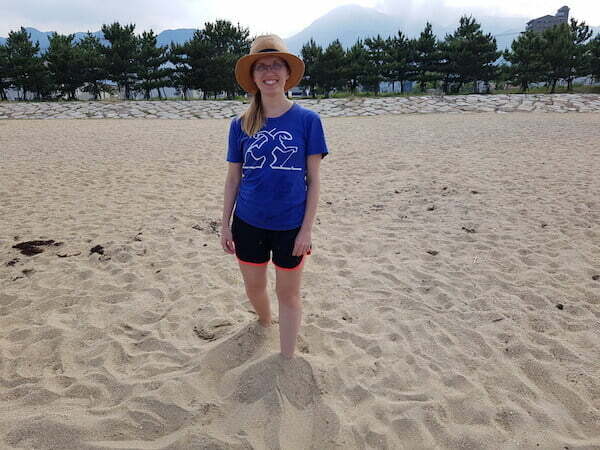 In this Expat Interview, Lissie shares her expat life in Beppu Oita. You will know the cost of living in Beppu, good and bad things about Beppu, how to prepare for moving to Beppu and more. Beppu is a small coastal city, located on the southern island of Kyushu, Japan. 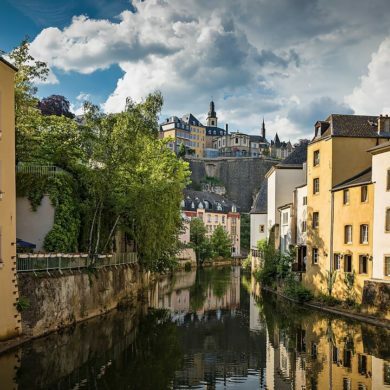 The city is renowned for its abundance of hot springs, known in Japanese as onsen, and prides itself on the existence of different types of baths and hot spring experiences. The city is also the site for a university housing a large international student population. All in all, except for a high rate of hot springs and foreign students who have settled in the city for the purpose of studying, it’s a regular Japanese town, with vending machines around the corners and traditional buildings mixed in with newer apartment complexes. Firstly, let’s get to know a bit about Lissie. My name is Lissie and I’m currently a senior student at a university in Japan. My favorite past times include taking two-hour-long naps and treating myself to some delicious dark chocolate. And not to forget, randomly exploring new places and vegetarian food restaurants. 1. Why did you choose to live in Beppu? I moved to Japan, and to be more exact Beppu, about three years ago. Basically, I went through the common procedures for a student visa to Japan and subsequently found myself sitting in my university dormitory room about a year after I first decided to study in Japan. 2. How did you prepare to move to Beppu? Well, as I quickly realized that because of my limited (read non-existent) experience of Japanese society, it would be impossible for me to ever be totally prepared for the move. So, I mainly focused on sorting out my belongings at home and deciding on what to pack (as in finding out what I could not easily buy in Japan) and fill my suitcase with those kinds of things, while trying to teach myself some of the Japanese writing systems and reading up on university guidelines for getting to the dormitory. 3. How to deal with culture shock in Japan? I think the one thing which has shocked me the most is a number of different types of packaging and plastic wraps and bags Japanese people tend to use, or in my personal opinion, waste, daily. 4. What are the challenges of living in Japan? The toughest part of living in Japan has definitely been the language barrier. I still remember one of the first days in Beppu, when I was going downtown alone and couldn’t understand a word of what was being said in the loudspeakers of the bus, or how to read the characters for the stops. That day, because I didn’t have a phone, I solved it by randomly getting off at a location that seemed suitable. Later on, I learned to make use of different apps to make not only traveling but also daily life in general, a bit smoother. 5. Have you experienced any discrimination in Japan? I don’t think I’ve ever experienced direct discrimination or hostility. Most Japanese have made an effort to accommodate me, especially if I’ve also have been trying to communicate in Japanese. 6. What do you like about Beppu? Hot springs! Beppu is a hot spring town and I’m an onsen lover so being able to go to the local 100yen host spring whenever I feel like it is a wonderful advantage that comes with living here. 7. Is there anything that you don’t like about Beppu? If I would have to point out something that I feel less enthusiastic about, it’d be the almost non-existent green areas. I grew up surrounded by a lot of greenery, both in and outside the urban areas. 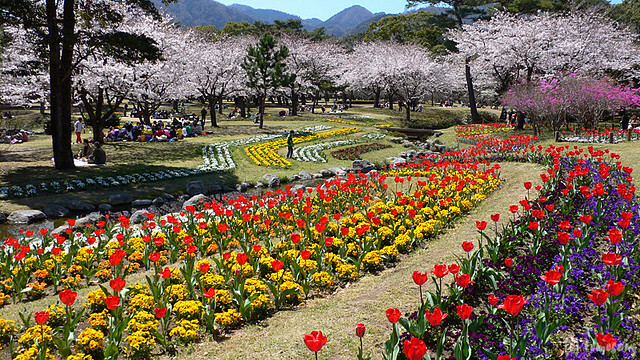 While Beppu is surrounded by mountains and forest, it lacks, in my opinion, parks and other green zones within the city. There are a few parks, but not by far as many as I’ve been spoiled with growing up, so the abundance of urban greenery is something I miss. 8. 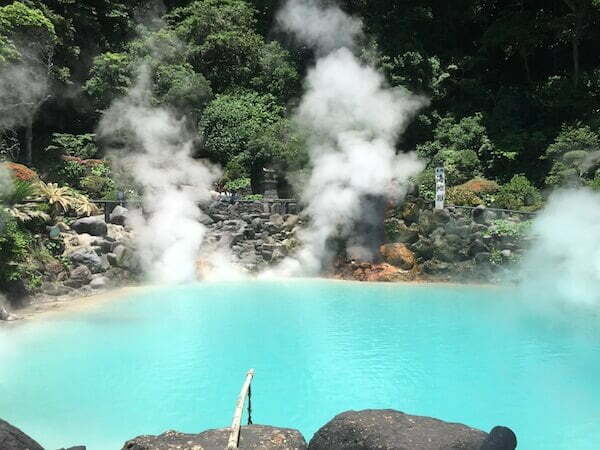 What are your favorite things to do in Beppu, Japan? My personal favorite is waking up before dawn, head out to the harbor and watch the sunrise from there. However, since I am a bit of a snoozer that doesn’t happen often enough. On the other hand, visiting the onsen doesn’t require any early mornings, so that’s something I love doing! It may cost you around ¥1,000 to ¥1,500 per day if you eat out three times a day. In case you cook at home, the price will be much lower. With the rent, it will be around ¥25000 – ¥60000 depending on your accommodation. If you’re a student, you can get a yearly bus pass which offers 75% discount on April or October. There are triple tickets which cost ¥1,000. You will pay ¥5000 for mobile service, and around ¥10,000 for extra things. 10. Is it easy to make new friends in Beppu? 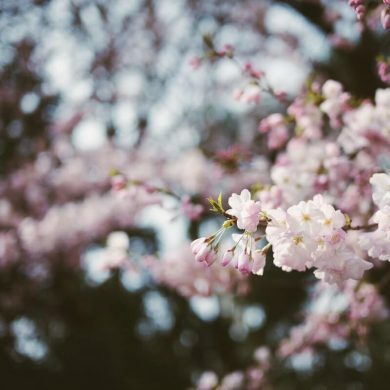 If you’re a university student and would like to make international acquaintances, you’ll find it won’t be too difficult by joining different activities, especially the ones connected to the university life. However, I think to make longer-lasting Japanese friends you might need to put a bit more effort into joining local activities and understanding their culture. Many Japanese people are a bit shy (or insecure) when it comes to speaking to foreigners, so taking the first step is of consequence! On a regular basis, I hang out with my foreign friends, but there are occasions when I meet locals and partake in activities with them. 11. Where to hang out in Beppu? I come from the country of Fika so coffee shops are a favorite, especially the smaller, hidden ones which are not part of the commercial chains. Also, because it would be such a shame to reveal the exact location of my very own ‘secret spot’ I’ll just let you know that it’s on a backstreet in Beppu. One of my first days in Beppu I was invited by some floor mates to go out with them for dinner. 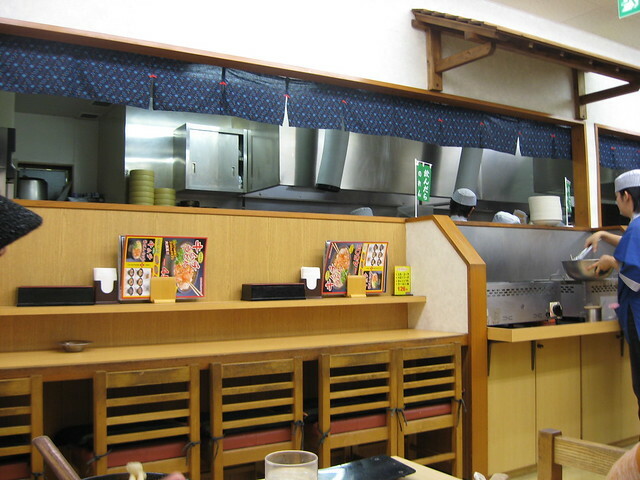 We ended up at 鳴門うどん – which is a popular udon restaurant among students in the area. This was my first time eating udon. While I was slightly concerned about my chopstick skills, I shrugged it off as unnecessary worrying. It was just noodles we were going to eat after all. Upon seeing the menu, I realized that the noodles would arrive at our table served in a huge bowl – swimming in broth. With other words, I could not just mind my own business eating liquid-free noodles from a private bowl, but I would first have to fish the noodles out of the larger bowl and transfer them to my own. Now, I don’t believe this would have posed much of a problem if the chopsticks hadn’t been of the ultra-smooth, plastic kind, which allows just about anything to slip through if you haven’t got your chopstick skills down to perfection. 13. Did you change your perspective after living here for awhile? To be honest, at first, I found Beppu to be a bit small and dull. However, after living here for a while, I’ve found that it has an abundance of charm to share if you give it a chance. 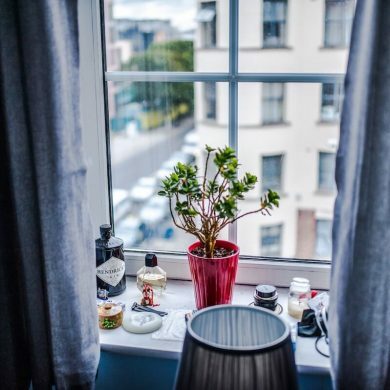 It might seem like you’ve seen it all after staying here for a year, but there’s always something new around the corner if you allow yourself the time to look for it. 14. 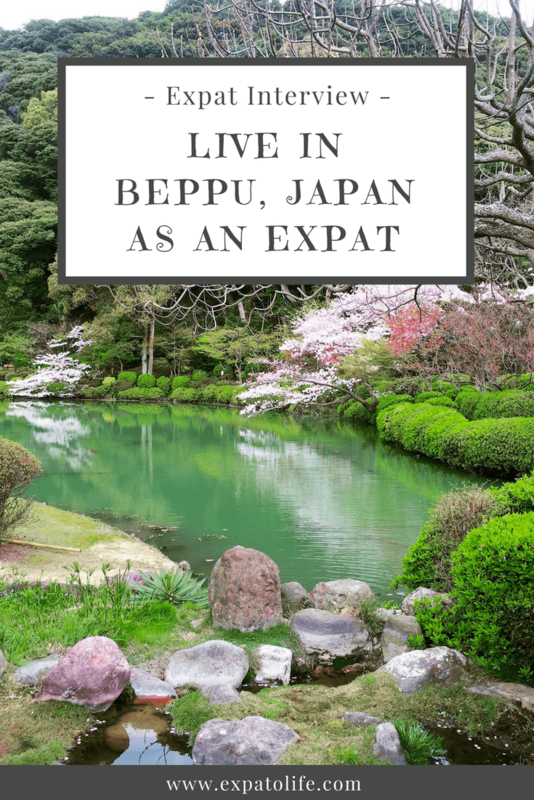 Can you share tips & advice for living in Beppu? 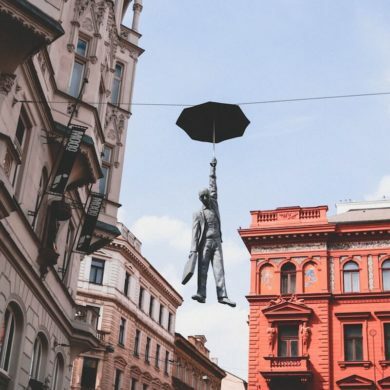 Really consider whether or not you are a person who enjoys a bit more of a countryside life, or if you prefer a constant dose of urban adventures. If you fall into the latter category, Beppu might not be the optimal place to settle in. Thank you for stopping by :) I’m glad you liked it! Great interviewI I had honestly never head of Beppu before… I love Japanese language and culture (I’ve studied it for years, even though that was a long time ago) and since I’ve been for the second time to Tokyo a year ago it’s always in the back of my head… I would love to go and live in Japan at least for a little while so I was glad I read this interview! I always wondered how life would be living in Japan. An interesting and rare glimpse into expat life. A nice and cultural read. Thank you, Talia. I’m glad that you enjoy reading this interview. Love this! As an expat myself I always enjoy reading other’s experiences. It sounds like it has been a great choice for the university but had a lot of difficulties as well. I had never heard of this city. I am curious, are all your university classes in English? Thank you! I’m happy that you love this interview. This city is just a small city located in the South of Japan, and it’s not popular for foreigners. In the university, you can choose to study either in English or Japanese. I love this post! I have been so curious about Japan so this is great to know :) Especially to learn more about Beppu. Love the idea of interviewing expats! While I’ve never been to Japan, I could totally relate to many of the situations . For example, not understanding what was being said on the loudspeakers while on the bus or train. Thank you, Julia. I can relate to this situation too, especially when I travel in a foreign country. An interesting post. I thought Japanese is a green people. But it’s not, based on how they use plastic packaging for everything. It’s true that people use plastic packaging a lot in Japan. I was surprised too! This is a great interview, and one that gives an expat perspective. 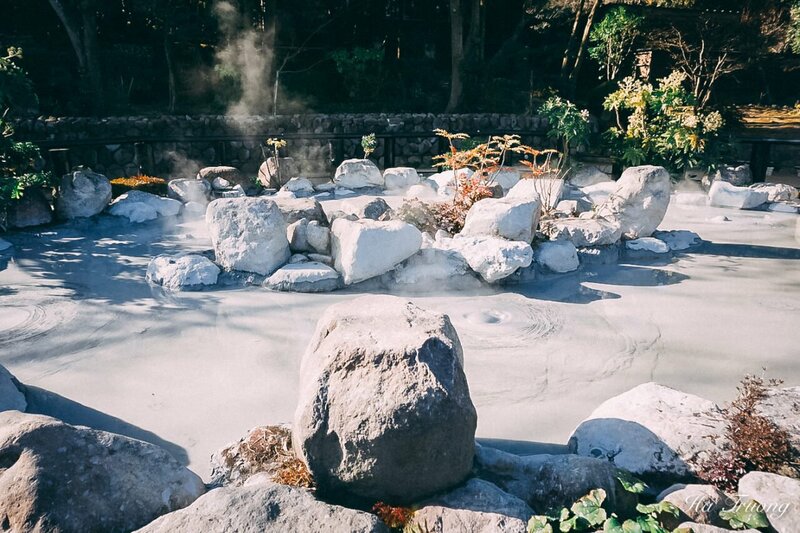 I’ve never heard of Beppu, but I’d like to visit those hot springs! Also, the part about the udon noodles made me so hungry, I’d go for a bowl right now! Beppu looks like a wonderful town to experience university life. Being surrounded by mountains and hot springs makes for so many beautiful scenes. Lizzie must have learnt so much from such an experience, if I could go back in time I would do something like this! Lizzie surely has a nice experience while living in Beppu. This town is a lovely place to visit if you are around Kyushu island. I am always so impressed by anyone who is willing to live somewhere with an extreme language barrier. When I visit Beppu, those udon noodles (however slippery they might be) will be my first meal (followed by the hot springs, of course)! This was such a great interview and really shows what the expat life can be, for anyone going anywhere in general. There’s the culture shock, having to adjust and so much more. Thanks to Lissie for being so candid. I thoroughly enjoyed reading this. I think expats are incredibly grave, especially to move continent and to a place where the language is so different, so good on you both! It’s fascinating to hear the stories so I can’t wait to read more of these, Ha! My first question was definitely ‘where is Beppu?’!! I haven’t heard of the place. So thanks for the information. Being an expat myself, I can totally relate the emotions she’s gone through moving to a new place that’s almost a polar opposite of home! I love the series and it is such a lovely way to get to know about a place from the eyes of an outsider. Beppu comes across as quite the quaint Japanese town with almost a rustic beauty to it. It really is a great idea to lie in a foreign place, no matter the time, as it truly makes for a amazing experience as Lizzie seemed to have had. Great read! I have never heard of Beppu but it definitely sounds like a great place. However I’m not so excited about the fact that there are not many parks in the city given Japan is famous for its gardens. I lived in UK while I was doing my Masters so I completely relate with Lissie on how the new place slowly steal your heart with time. I fell in love with Liverpool city just the same way! As an expat, I can totally relate the situation described in Lizzie’s interview. Beppu sounds interesting , small town of Japan with many tourist attractions like Hot springs and sunrise on Harbour. There are some plus and minus in living in a new culture. I hope Lizzzie now have coped up living in different culture. I would like to visit Beppu as a tourist as it is surrounded by mountains. Japan is such a beautiful country and I would love the idea to travel. I am not sure about moving to Japan yet, I am sure I will have the same experience of culture shock there. But it is undeniable that this country is so disciplined and beautiful and clean that I don’t see why anyone wouldn’t want to live here. 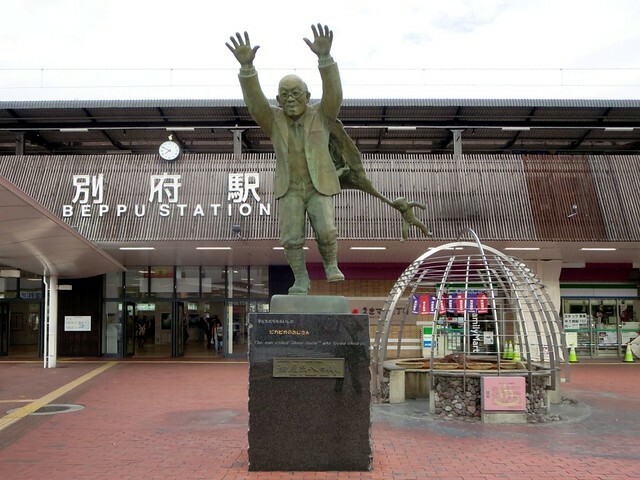 Beppu sounds like any other Japanese city you would imagine! Beppu is similar to other small towns in Japan, so if you visit Tokyo or bigger cities, you will see the differences. I hope you can visit Japan one day, Abigail.